When you’re comparing merchant credit card processing services, it’s easy to get overwhelmed with numbers and information. It’s even easier to pigeonhole yourself into looking for certain qualities, like low rates, which may not truly offer a good value to you. In today’s economy, accepting a credit card is essential. 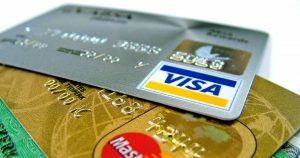 Choosing affordable credit card processing can have a real impact on your business’ bottom line. Here is some advice for small business owners to shop smarter for credit card processing deals that will help grow their business. If you try to search for an account to accept credit cards online, you’ll quickly find a few comparison websites that promise to find you the lowest possible rate. Unfortunately, rates aren’t the only factor to consider when getting a merchant account. That low rate may come at the cost of a customer service department that is not very effective. Another problem with comparison sites is that they may sell your information to other companies, based on the information you enter into the form. You’ll hear information on both sides about which rate structures are best for you. Some will say interchange plus, others will declare flat rates to be the better deal. There are some advantages to both, it’s all about how you’ll use your account. If you’re a small retail business, for instance, flat rates might end up costing you money. This is because so many credit cards may pass through your store, that you could save on wholesale pricing. Pricing is essentially based on the type of card a consumer uses at your terminal. If the consumer’s cards need benefits, for example, that has to come out of someone’s pockets. Paying interchange fees means you’ll pay more for certain cards, but less for others. That saves you money if you process enough transactions. Thanks to new laws, and a renewed interest in hacking small businesses, you’re going to want to pay extra attention to security and breaches. You could be held liable if any of your customer’s data goes missing. There is a lot of value to be found beyond just going after the lowest possible rates you can find. Good customer service will get you through those stressful days when lines are out the door, while security will help shield your business from the liability that comes from breaches. Charge.com Payment Solutions, Inc. is one of the most affordable, and safest methods to accept credit cards online.